Since the start of bibliometrics in the 1960s, the scientometrics community has grown increasingly more interested in the investigation and assessment of publication impact. Over the past decade, research groups have furnished alternative metrics to address some of the new needs of the scientific community, such as the ability to compare journals from different subject areas. In addition to journal impact, bibliometrics and other data-driven measures are increasingly used to systematically compare and benchmark diverse entities in a variety of settings. When evaluating the performance of a journal, the researcher community benefits from a broad range of metrics to better understand performance. Also, it's impossible for one metric to serve all the necessary purposes. This holds true for journal and article-level metrics as well as at the individual or institutional level of assessment. A librarian may use journal metrics (in addition to other measures) to make informed decisions about their content collection and acquisition strategy. 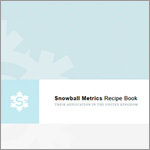 A publisher or journal editor may use journal metrics to inform their journals' strategic direction or track progress against a competitor. 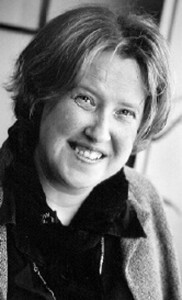 An author may use a mix of journal metrics to decide where to publish. 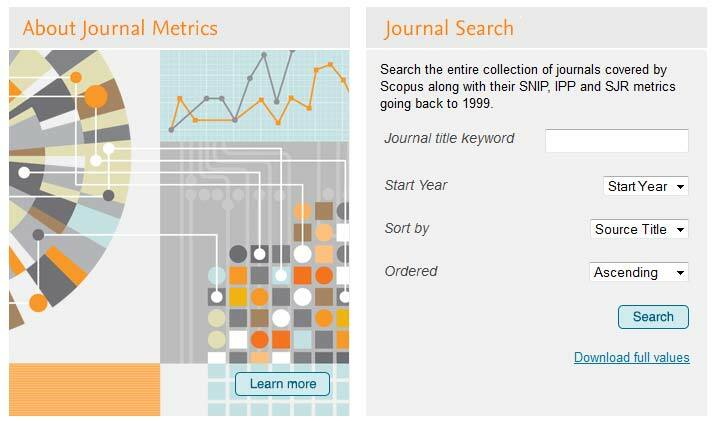 Updated annually, the 2013 SNIP and SJR journal metrics are now available in the Scopus database via the Journal Analyzer. The Journal Analyzer allows you to select up to 10 journals for comparison; the results are uploaded into graphs, making it easy to see how journals perform relative to each other. The SNIP, SJR and now IPP (Impact per Publication) values can also be viewed per journal in the 'Browse sources' tab or via the publicly available title list. The journal metrics all use a citation window of three years, which is considered to be the optimal time period to accurately measure citations in most subject fields. Additionally, unlike the Impact Factor, they only consider citations made by and directed to the same peer-reviewed scholarly papers, which provides a fair impact measurement of the journal and diminishes the chance of manipulation. Source Normalized Impact per Paper (SNIP), developed by the Centre for Science and Technology Studies (CWTS) at the University of Leiden, is an advanced metric measuring the citation impact of scientific journals. SNIP looks at the journal's field, smoothing out differences between field-specific properties such as the number of citations per paper, the amount of indexed literature and the speed of the publication process. The impact of a single citation is given higher value in subject areas where citations rates are generally lower, and vice versa. As a field-normalized metric SNIP offers researchers, authors and librarians the ability to benchmark and compare journals from different subject areas. The raw Impact per Publication (IPP) is a component of the SNIP calculation that measures the ratio of citations per article published in a journal. When normalized for the citations in the subject field, the raw Impact per Publication becomes the Source Normalized Impact per Paper (SNIP). SCImago Journal Rank (SJR), developed by the SCImago research group, is a prestige metric based on the idea that "not all citations are equal." SJR uses a similar algorithm to the Google page rank; it provides a quantitative and a qualitative measure of a journal's impact. SJR is a measure of scientific influence of scholarly journals that accounts for both the number of citations received by a journal and the importance or prestige of the journals the citations come from. Citations are weighted depending on whether they come from a journal with a high or low SJR. More information, including a free downloadable file with all the journal metrics, can be found on Elsevier's journal metrics website: journalmetrics.com. Scopus is the world's largest abstract and citation database of peer-reviewed literature – scientific journals, books and conference proceedings – with content from more than 5,000 publishers. 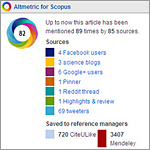 Learn more about Scopus at elsevier.com/scopus. 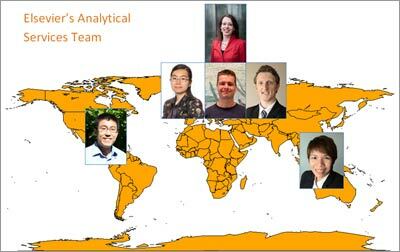 Elizabeth Dyas serves as Senior Product Marketing Manager for Scopus. With more than 10 years of B2B marketing management experience, she is responsible for the strategic marketing and go-to-market planning and execution for Scopus' marketing programs. 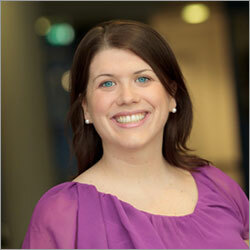 She holds an MBA from the Rotterdam School of Management at Erasmus University. A New Jersey native, she currently resides in Amsterdam and loves riding her bike to work. What’s new with SNIP and SJR – and how are they calculated?